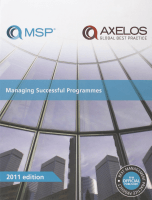 Managing Successful Programmes comprises a set of principles and processes for use when managing a programme. 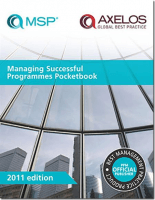 It is founded on best practice although it is not prescriptive. It is very flexible and designed to be adapted to meet the needs of local circumstances. 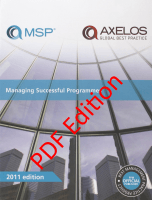 For MSP® training courses please go to www.ilxgroup.com/msp.